Remodeling your kitchen can be a fantastic way to create your dream home, or increase your homes value if you’re looking to sell it. You will most likely need to do some plumbing remodeling while undertaking this renovation. Plumbing may not be a part of the original plan, however, a plumber should always be consulted. This will help ensure that changes made in the kitchen do not interfere with existing pipes or fixtures. During a kitchen remodel, the water will need to be shut off, and sections of the kitchen will be exposed. This may seem inconvenient, but if unexpected issues arise, they could delay a project even further. Including a plumber from the beginning while planning a remodel can save a lot of time, money, and headaches in the long run. A plumber will determine whether the kitchen needs re-piping to replace old or damaged plumbing. Everybody planning a kitchen remodel has great ideas, but consulting a plumber for advice is a surefire way to make those plans a reality. 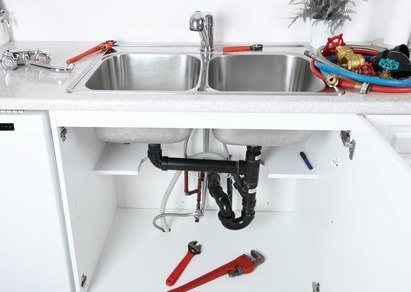 A plumber can not only answer questions, but can help guide your remodel while taking plumbing into consideration, and work with any other contractors involved in the project to keep the remodel go smoothly. If you are looking to remodel your kitchen, please call us at (352) 817-7647 or use our online service request form to reach out to us.